In honour of International Women’s Day, we’re highlighting an amazing group of strong, incredible women who inspire us daily. 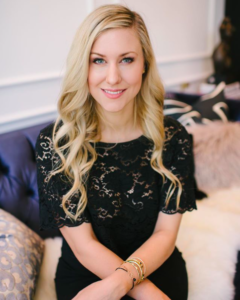 Next in the series is Amanda Hlatky, founder of Glow Dermal Therapy. – What made you interested in beauty? I’ve always had a fascination with beauty. I’ve been a product junkie/hoarder since age 10, I’d often keep products because they were “special” until they went off and were unusable. 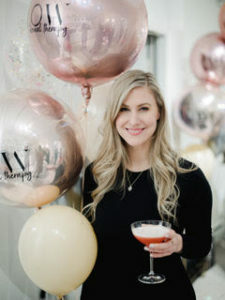 My real interest in skincare grew when I was 20 and developed adult acne, this profound effect on my self esteem was a significant driver of my current profession. 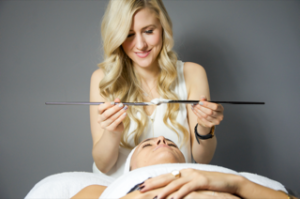 – When + what made you decide to launch Glow Dermal Therapy? I opened Glow in 2015. I worked in the industry for 8 years before beginning my venture. I was incredibly fortunate to work alongside dermal therapists at a clinic in Sydney, Australia. I really wanted to merge clinical and comfort into one space. – How did you go about picking a location for your new studio? Our new location on 1st and Cypress was a very lucky find! I had been scoping this location for over a year. I love the neighbourhood vibe, the European style row houses, the cafes. Serendipitously I viewed the space on our second birthday, and I just knew it was going to be the perfect fit. – What do you wish you’d known before starting your own business? Not everything has to be done perfectly right away. – If you could give your teenage-self one piece of advice what would it be? Don’t doubt yourself so much, You are capable. – What is your ultimate life goal? – What’s the first thing you read each morning? Emails – then (trying) to meditate.